Friends! I am proud to announce that Flesh and Fire will be published by Christopher C. Payne and Journalstone Publishing as part of their Double Down series. My piece will be paired with a brand new Pine Deep novella by Jonathan Maberry, and it’s set to come out in Spring/Summer of 2015. I’m having trouble trying to find the words for how psyched I am. This has been a long road–the first incarnation of Flesh and Fire was written in 2011–and I have a ton of people to whom I’m grateful. While I realize this is what an acknowledgments page is for, some of this can’t wait. My wife Jean has been wonderfully supportive; the short novel has been in progress the entirety of our marriage and she’s always been encouraging. 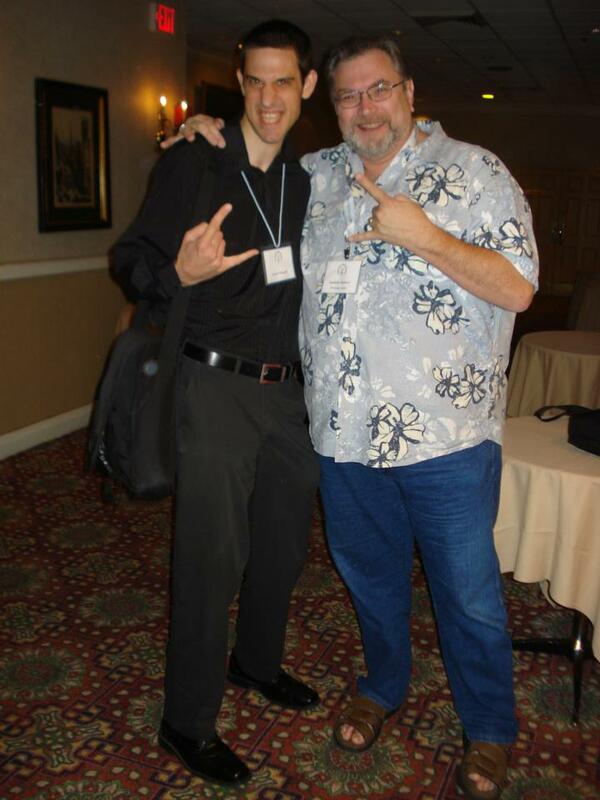 Secondly, Jonathan Maberry is owed a huge thanks for being a friend, mentor and an endless well of inspiration. Knowing him has taught me many facets of the craft and the business, as well as introduced me to some great professionals who have since become friends. Thirdly, Christopher Payne and the folks at Journalstone for believing the manuscript is worth publishing. This promises to be the beginning of a great relationship. Lastly, everyone who has looked at the manuscript and given me valuable feedback and advice: my brother Vincent Mangum, writer Patrick Galloway, crime writer Dennis Tafoya, author/screenwriter Joe Augustyn, and filmmaker Dave Tafoya. If I left anyone out, please remember I wrote this in a fit of excitement and my acknowledgments page will be composed by a more composed me. 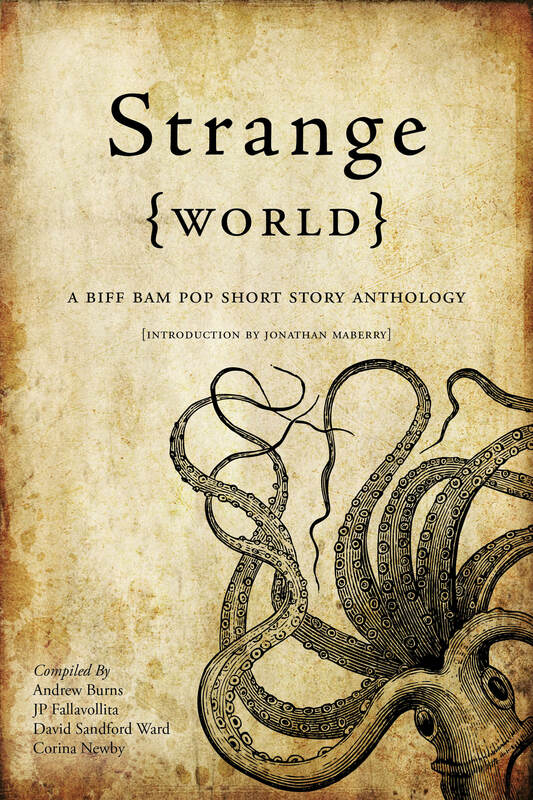 I’m pleased to announce that Strange World: A Biff Bam Pop Anthology was released on Tuesday for the Kobo Reader. It features my apocalyptic short story, Occupy Babylon, along with great works from Andy Burns, Ian Rogers (author of SuperNOIRtural Tales), Glenn Walker, Jim Morris (writer, Smallville, The Dead Zone, Crossing Jordan), and many, many more. It also includes an introduction by Bram Stoker Award Winner and New York Times Bestselling author Jonathan Maberry. You can order the anthology right here for a little over a buck. Eddie was halfway through the third song of his set when the door to the club burst open and one of the dead came shambling through. He barely noticed. He immersed himself in the song. At these open mic sets, he only got enough time for four. Several more bodies came shuffling into the club, and Eddie played on. He didn’t notice that there was something wrong, until he heard the scream. Eddie raised his head and looked out at the crowd. One of the new arrivals bit into an audience member’s arm. Even from across the bar, Eddie could see the spurting crimson blood in all its vivid glory. The rest of the invaders fell upon the audience and the screams multiplied. The scene went from the controlled chaos of a punk rock show to the frantic, desperate pandemonium of people fighting for their lives. Death had come for them. It had been out there, in the streets, on television; it had been in all of their backyards, in their own country, in the cities where they lived. But the others, like Eddie, had carried on like Death was not something they needed to worry about, like it was still distant. But it had come. With grappling hands, blood-filled mouths, and hungry eyes, Death had arrived, and Hell had come with it. In the confinement of the small, hole-in-the-wall club, it was unavoidable. The people trampled over each other as they made for any exit they could reach. Most of their efforts were met with failure, taken down in a series of agony-filled moments by creatures that knew only hunger and that demanded to be satisfied. Eddie thought the assailants were a mob of cannibals at first, until the first one came staggering upon the stage. It looked like a man, but its skin was an unhealthy gray. At its throat was a ragged, bloody wound. Eddie had no doubt that the wound should have been fatal, yet this man, this beast, walked towards him. One eye socket was an empty, lifeless void. Where the other eye had once been, pus oozed out and onto the man’s cheek. The man’s jaws opened and closed, biting involuntarily. Eddie screamed and lifted his guitar over his head. 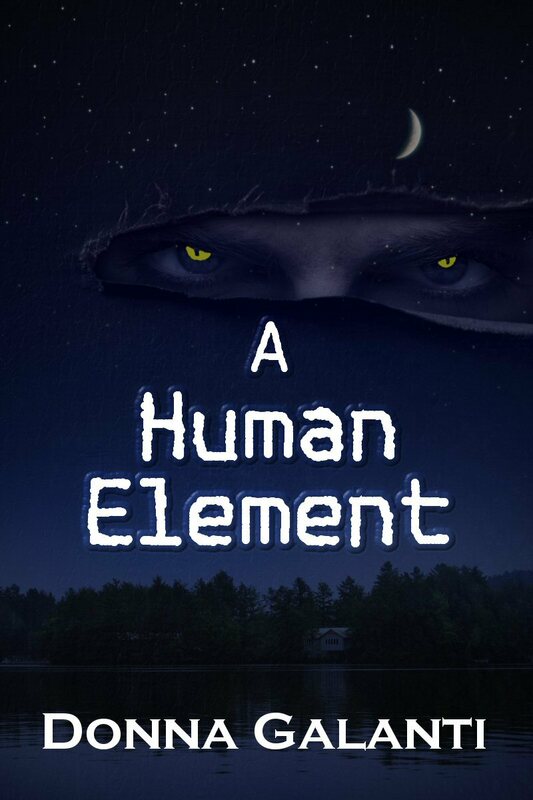 When the creature got close enough, he smashed the instrument into the beast’s skull. Blood, bone, and gray matter mixed with the splintered wood. Screams of fear and agony filled the room. A foul stench of blood hung in the air. Eddie backed away from the horrid scene before him in the direction of the backstage exit. When he bumped the door, he turned to exit and ran like hell. I’m almost embarrassed to say it, but this year’s Philadelphia Writer’s Conference was my first conference ever. That said, damn, what a way to get started. It was great to run into familiar faces, make new friends, and spend time at the bar. Things were kicked off by Jonathan Maberry, who really knows how to engage an audience with a manner of speaking that is as dynamic and witty his thrills-on-every-page novels. He stressed the importance of writers, whether genre or literary, fiction or nonfiction, screenwriters or novel writers to stick together. We have more similarities than differences and those similiarities can forge powerful connections and create vital support groups. I took five workshops that weekend. As a believer in stretching my comfort zone so that one day there is no corner of the writing world where I’m not comfortable, I took Debra Leigh Scott’s Literary Short Story workshop. Damn. After an interactive, immersive workshop like hers, I’m now considering applying a more literary style to my genre pieces. It was an informative discussion with a lot of exercises. I found myself wishing that we had more than just three one hour sessions. I can’t say enough nice things about it. Caridad Pineiro taught a class of Horror/SciFi/Fantasy. While it explored some topics I am already very familiar with, it touched on some subjects that were of particular interest to me. She’s a big believer in using the Jungian archetypes in all of her novels and she delved pretty deeply into that on the third day. We also did some worldbuilding exercises that would be helpful practice for anyone who wants to write in those three genres. Before Jonathan Maberry’s workshop on character, he let me know that I’d probably heard most of what he was going over before. Though for the most part he was right, that didn’t make it any less interesting. As I mentioned before, dude can own a venue, rockstar-style. He stressed the important stuff: characters have to have damage, they have to be real, and the story should grow out of them, not the other way around. He used examples from his own work (including my personal favorite, Dead of Night). He also talked a lot about point of view and used examples of when omniscient point of view works. For this, he pulled from Stephen King’s The Mist and ‘Salem’s Lot. 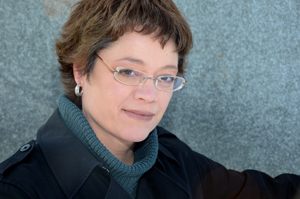 On Saturday, I listened to Jill Sherer-Murray of the Wild River Review discuss blogging. She had most of us laughing with her painfully true and viciously funny examples from her own blogs. Sunday was Liar’s Club member Don Lafferty’s workshop on social media, which served as a great reminder that no matter how much I think I know about social media, there is still so much more to learn, explore and master. And that’s okay. I’m up for the challenge. Now, to bring it all together. I spent way more money this weekend than I probably should’ve, got on the wrong train Saturday night, barely slept, and my legs are killing me from walking. Instead of drinking water that would’ve helped me in the heat, I sustained myself on caffeine and alcohol. It was a vacation with the added benefit of learning new things. I met some amazing people (including Katie Grimm from Don Congdon Associates, the agency that represented the late Ray Bradbury), saw people who, over the last few years, have become good friends, and, most importantly, I wrote quite a bit. Even amidst the shuffle, I managed to make that pen move. It was a great event, so hats off to the parties responsible. Special thanks to the authors, editors, and agents who came out to either teach workshops or take pitches. Hope to see some of you this Saturday at Awesome Reading Fest VII.